Lachenalia aloides (opal flower) is a species of flowering plant in the family Asparagaceae, native to the Western Cape of South Africa. 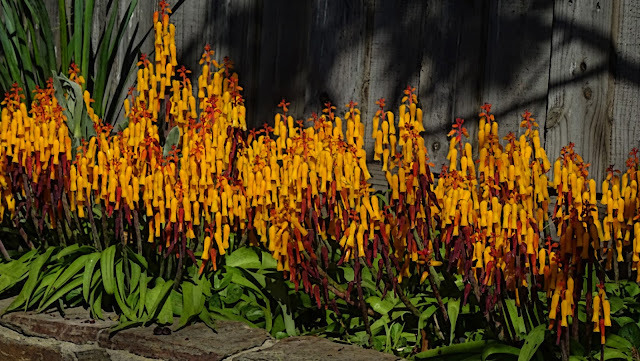 It is a bulbous perennial growing to 15–28 cm tall by 5 cm broad, with strap-shaped spotted leaves and fleshy stems bearing pendant tubular yellow flowers, red at the tips, in winter and spring. The Latin aloides literally means "aloe-like"; though L. aloides, despite its similarity, does not belong to the same family of plants as aloes. Numerous cultivars have been bred for garden use. They require a sheltered, frost-free position or under glass. The following have gained the Royal Horticultural Society's Award of Garden Merit: L. aloides var. aurea and L. aloides var. quadricolor. Lachenalia look good planted at the front of beds and borders, in rockeries, along pathways or in pots. 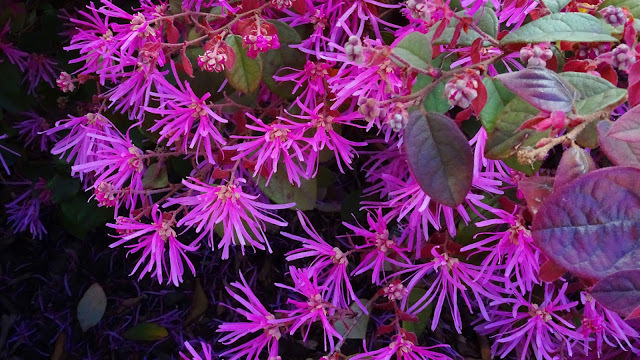 Plant into well drained soil in a sunny position. They will tolerate some shade but flower better in sun. Plant 5-10cm deep and 10cm apart. Water in then keep just moist in growth. Add a little fertiliser when they begin to bloom and that is about all you will need to do. They are easy care bulbs that can be left in the ground to naturalise. Try combining Lachenalia with Muscari or Grape Hyacinths; they also grow well with early Daffodils or spring star flowers. Leucadendron is a genus of about 80 species of flowering plants in the family Proteaceae, endemic to South Africa, where they are a prominent part of the fynbos ecoregion and vegetation type. Species in the genus Leucadendron are small trees or shrubs that are erect or creeping. Most species are shrubs that grow up to 1 m tall, some to 2 or 3 m. A few grow into moderate-sized trees up to 16 m tall. All are evergreen. The leaves are largely elliptical, sometimes needle-like, spirally arranged, simple, entire, and usually green, often covered with a waxy bloom, and in the case of the Silvertree, with a distinct silvery tone produced by dense, straight, silky hairs. 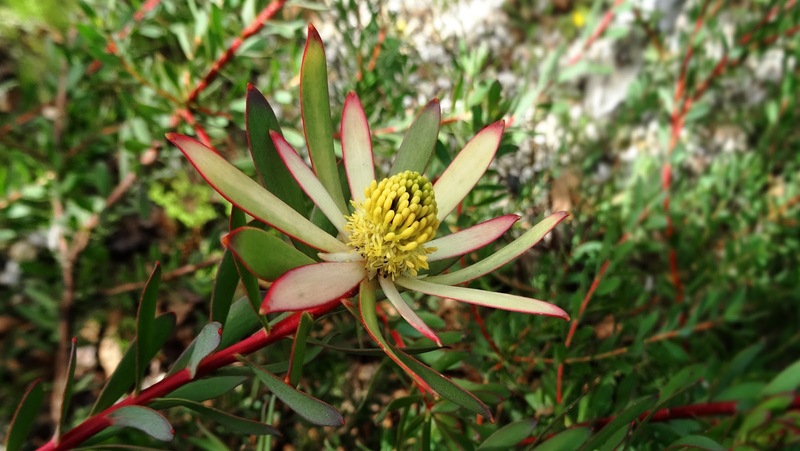 This inspired the generic name Leucadendron, which literally means "white tree". The flowers are produced in dense inflorescences at the branch tips; plants are dioecious, with separate male and female plants. The seed heads, or infructescences, of Leucadendron are woody cone-like structures. This gave rise to their generic common name cone-bush. The cones contain numerous seeds. The seed morphology is varied and reflects subgeneric groupings within the genus. Shown here is Leucadendron salignum 'Fireglow'. It has red-tipped, green foliage, with masses of red flower bracts from early autumn to early spring. It prefers a well drained, acidic soil and will tolerate light frosts, as well as coastal conditions. Prune after flowering and fertilise with an acidic fertiliser sparingly. This plant has a moderate water requirement once established. These flowers bracts make excellent cut flowers. The plants compact nature makes it ideal for small hedges, general landscaping, and looks fantastic in decorative pots. 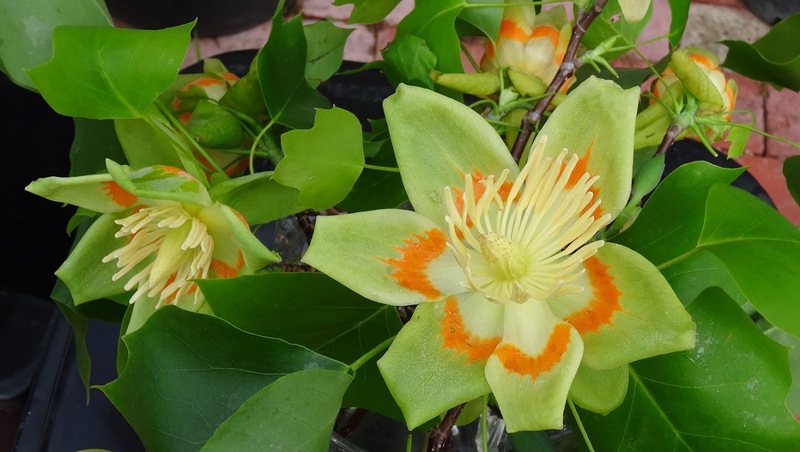 Liriodendron tulipifera (known as the tulip tree, American tulip tree, tuliptree, tulip poplar, whitewood, fiddle-tree, and yellow poplar) is the Western Hemisphere representative of the two-species genus Liriodendron, and the tallest eastern hardwood. It is native to eastern North America from Southern Ontario and Illinois eastward across southern New England and south to central Florida and Louisiana. 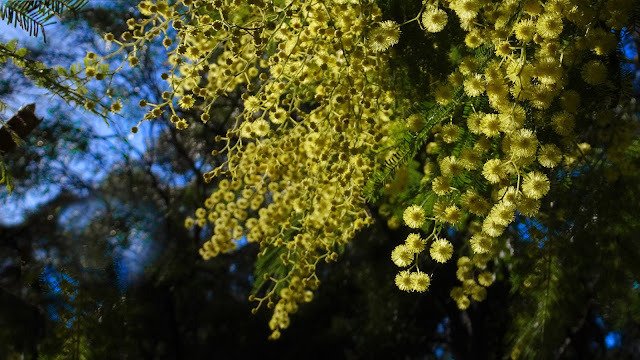 It can grow to more than 50 m in virgin cove forests of the Appalachian Mountains, often with no limbs until it reaches 25–30 m in height, making it a very valuable timber tree. It is fast-growing, without the common problems of weak wood strength and short lifespan often seen in fast-growing species. April marks the start of the flowering period in the southern USA; trees at the northern limit of cultivation begin to flower in June. Surprisingly, the flower-bearing branches make good cut flower displays. The flowers are pale green or yellow (rarely white), with an orange band on the tepals; they yield large quantities of nectar. The tulip tree is the state tree of Indiana, Kentucky, and Tennessee. Tulip trees make magnificently shaped specimen trees, but are very large, growing to about 35 m in good soil. Liriodendron tulipifera has been introduced to many temperate parts of the world, at least as far north as Sykkylven, Norway.